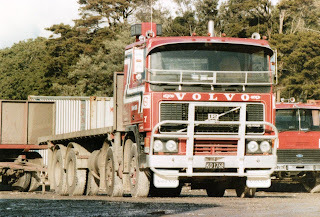 Some more photos from, mostly, the 80s. Whistlin' Dixie. 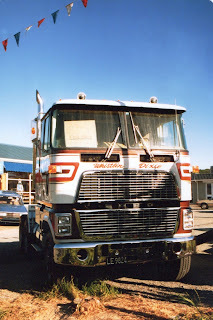 NZ's only Ford CL9000. 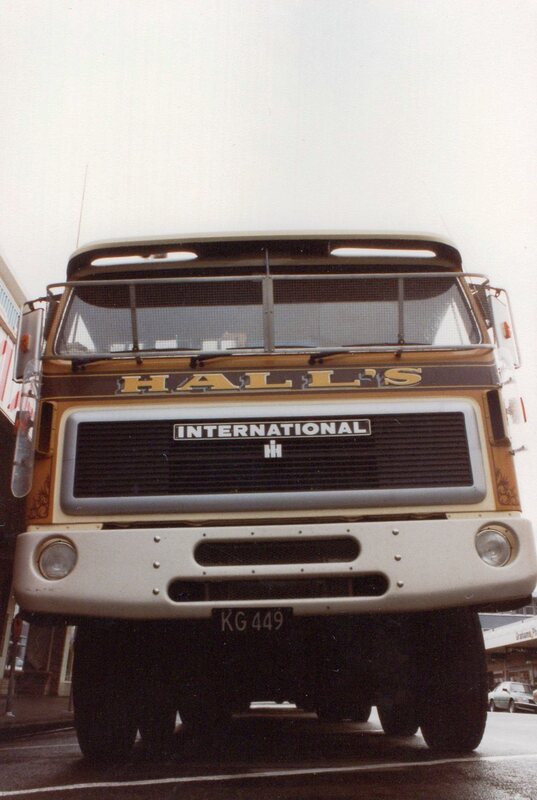 A low shot of a Hall's TK2670 8 wheeler. A 1982 model from International's Australian stable. 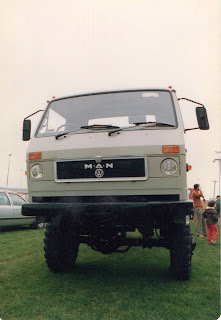 Light weight 4 wheel drive from a MAN/VW combined effort. 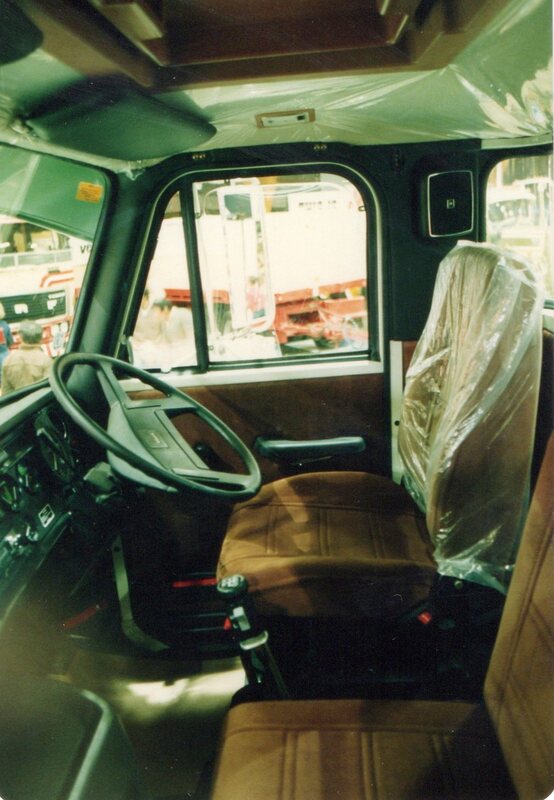 Interior of a brand new Volvo N series. A restored light weight Mack from the 1940s. A new R series Mack painted, but not sign written and no body added yet. 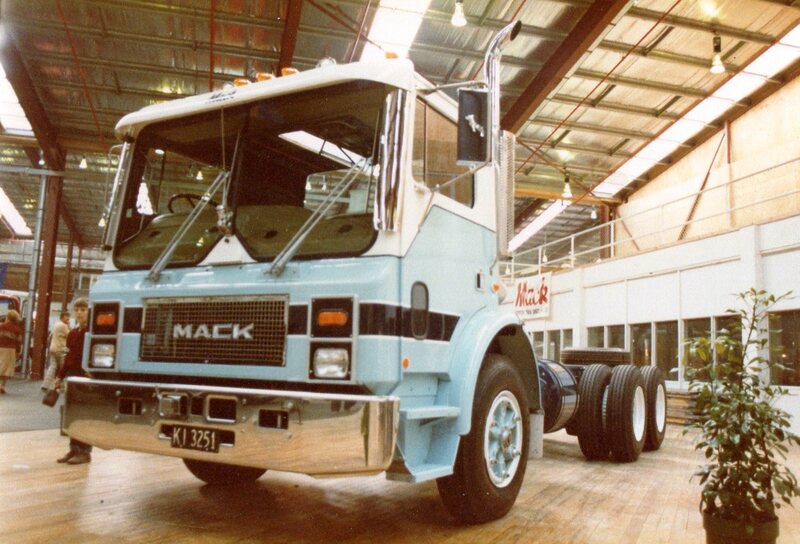 Another new Mack. This time a 1982 MCE 686RST. 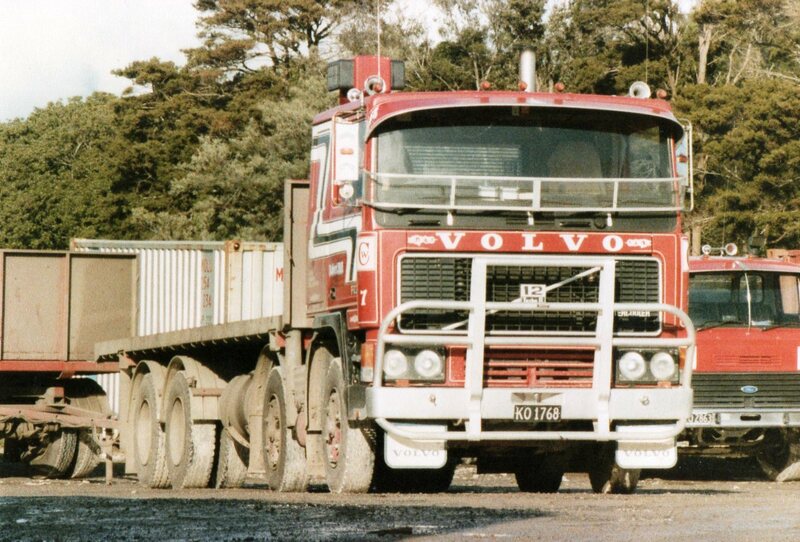 Volvo 8 wheeler F12 of Robert Hill Transport at their Levin yard. 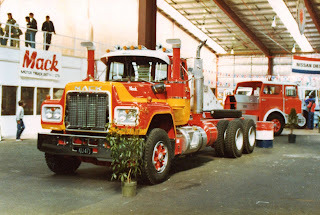 The last time I saw whistling dixie was as a cab only in the massam transport yard in Gavin Street Penrose (Auckland), i would love to know what happened to it. 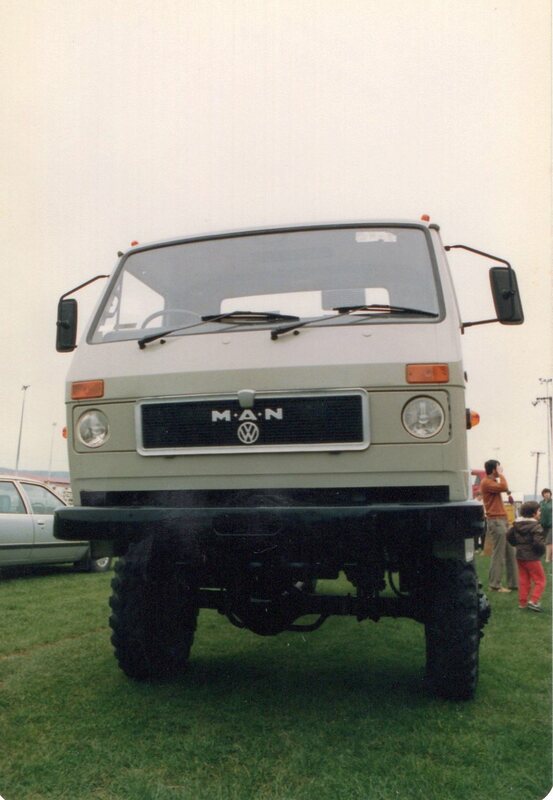 I think this was imported in the days of import licensing and overseas funds. 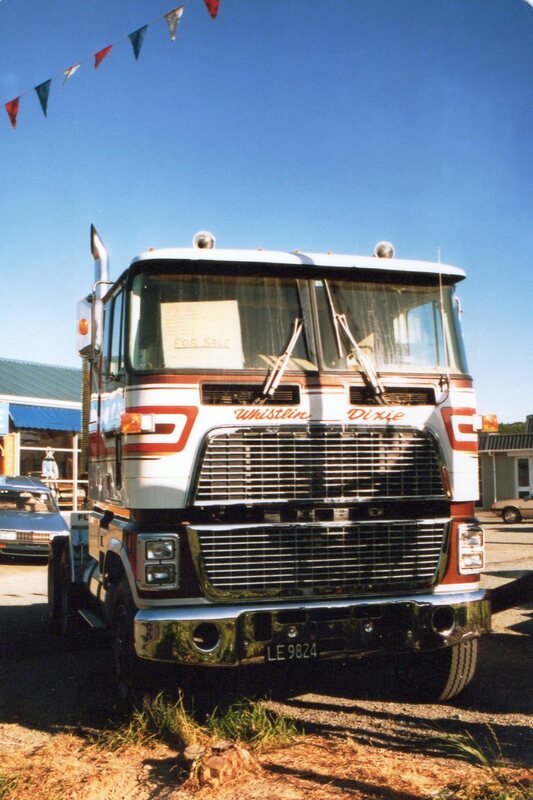 Whistlin' Dixie was destroyed in an accident on the Desert Road. 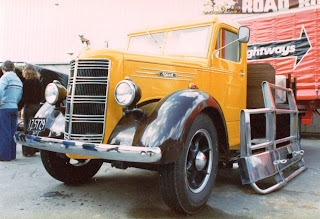 The damage was apparently so bad it was not worth trying to restore the truck.